If you've been cooking with dried herbs—or worse, no herbs at all—then consider registering for the My Victory Garden Cooking Class on Thursday, December 28th at the Chesapeake Brewing Company. A hydroponics gardening expert from My Victory Garden, a local business, will enlighten you about the benefits of fresh herbs from 7 to 9 p.m.
What the instructor has to say may surprise you. 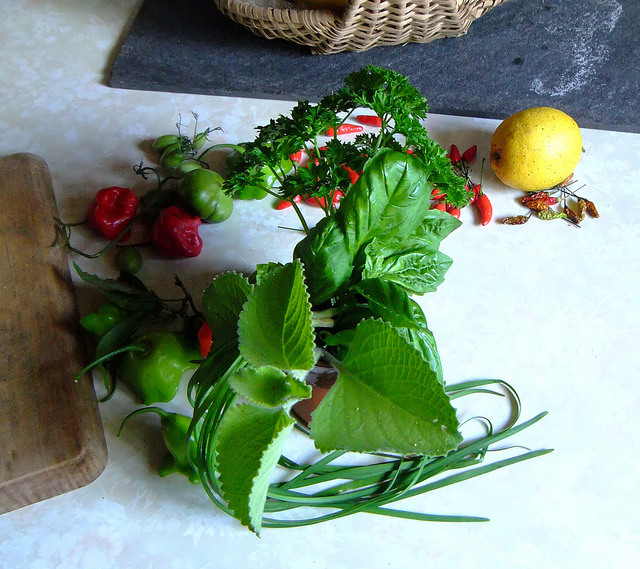 Even the non-gardener can easily grow and enlist fresh herbs in the kitchen with minimal soil space. You'll learn the techniques for growing these herbs, as well as using them in your cooking, and then actually leave with a box full of fresh and flourishing herbs to place on your kitchen windowsill. Since the class unfolds at a local brewery, come an hour or two early to enjoy craft beer and dinner. Tickets to the class are $66 and include the take-home box of herbs.